The staff at Acorn Cleaners are pleased to announce our 1,000 Customer at 11.32 today! 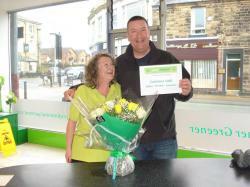 Accrington, Hyndburn Lancashire Embracing change using the Green Alternative Dry Cleaners. Thanks for your continued support and repeat custom!